I am building up several groups to help clients address some of the common challenges I am hearing in the population around me. If you are interested in any of these groups, please send me a message and I will follow up with you. I am ready to launch as soon as we have enough participants for a group to work. Participants are limited to 8 in any group, so if you would like to move forward let me know as soon as possible and I will hold you a spot. What are some of the benefits of groups? Groups help you to realize you aren't alone in your struggles. When you feel weird or isolated, it just makes things worse. Groups help to normalize your experience. Group therapy allows you the opportunity to both give and receive support. Not only can this be empowering, but it can actually help all involved. Group therapy can be a safe place to learn to express your thoughts and feelings. Groups can be a great place to practice new communication skills, and learn to related to others in more healthy ways. It's affordable! Each 1.5 hour group session is only $50. This makes it more affordable than individual therapy. 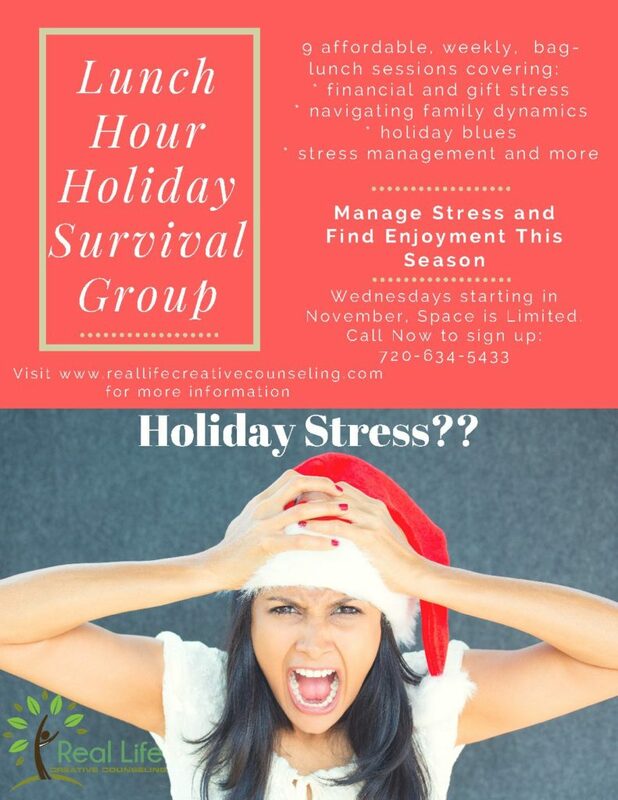 LUNCH-HOUR HOLIDAY SURVIVAL GROUP FORMING NOW! Give Yourself the Gift of Holiday Sanity This Year! The holiday season isn't always merry and jolly for everyone. Many struggle with feeling stressed or depressed when they feel they should be feeling joyful. Others are accused of being a Scrooge. Do you want this year to be different? This group can help with that! Session Topics will Include: Setting goals and intentions for the season, Understanding past struggles as a way to change them, Navigating Family Dynamics, Dealing with Holiday Disappointment, Stress management, and Money Worries and Gift Hassles. The January session will serve as a time to process the season, learn from it and document the strengths and growth areas to carry it to next year. Space is Limited, Call Today to reserve your spot. Groups Are Forming Now for Fall! The postpartum period is such a challenging time for families, whether it is the first or the 5th baby. This group provides and opportunity for mamas who are struggling with postpartum depression or anxiety to be able to process through the emotions and thoughts, build relationships with other mamas, learn about what is really going on in their bodies and minds, and find freedom and joy in their motherhood roles. Babies are welcome and will even be encouraged at some meetings. If you are having a hard time parenting one or more of your children, you aren't alone. After years of working with both children and parents, I found that so many parents are overwhelmed by emotional, behavioral or medical struggles of their child. 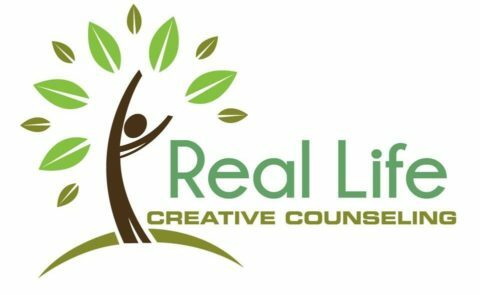 This group will combine short psychoeducational components, along with time for the group members to process their struggles and support each other. If being healthy was only as "easy" as eating right and exercising, we would all be perfectly fit. If you have been battling weight, body image issues, plateaus or anything else in this arena, this group may be for you. We will discuss some of the common obstacles to weight loss, describe proactive strategies for overcoming them, and provide support to each member while on their journeys. Call, Text or Email today to express interest in these newly forming groups. Space is limited!